Categories: Discounted, Shoes, Wedges, WOMEN. 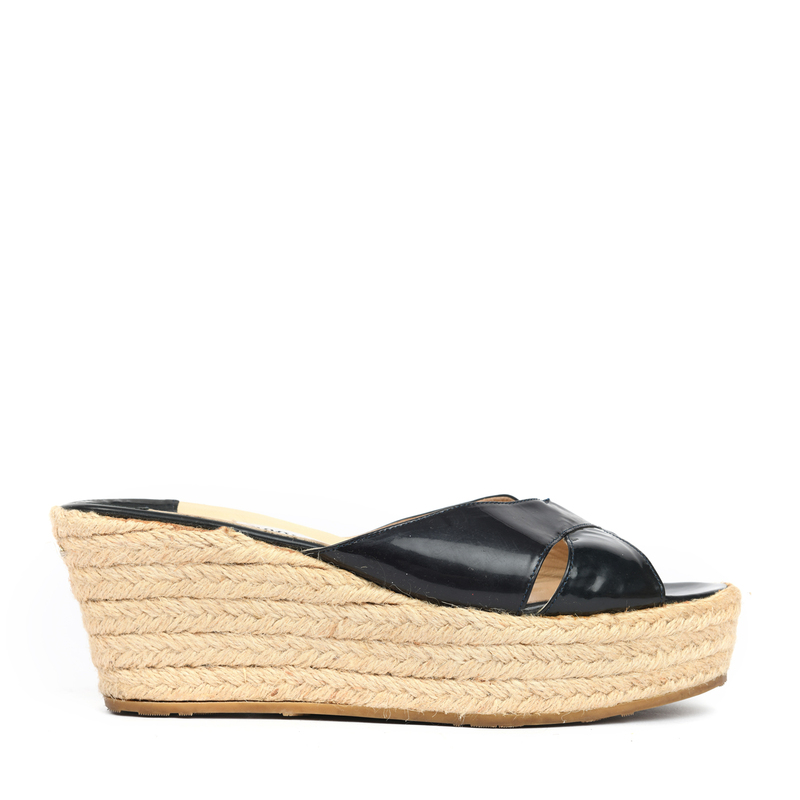 Black patent leather Jimmy Choo Paisley espadrille wedge sandals with crossover straps at vamps, jute covered heels featuring gold-tone logo accents at counters and rubber outer soles. 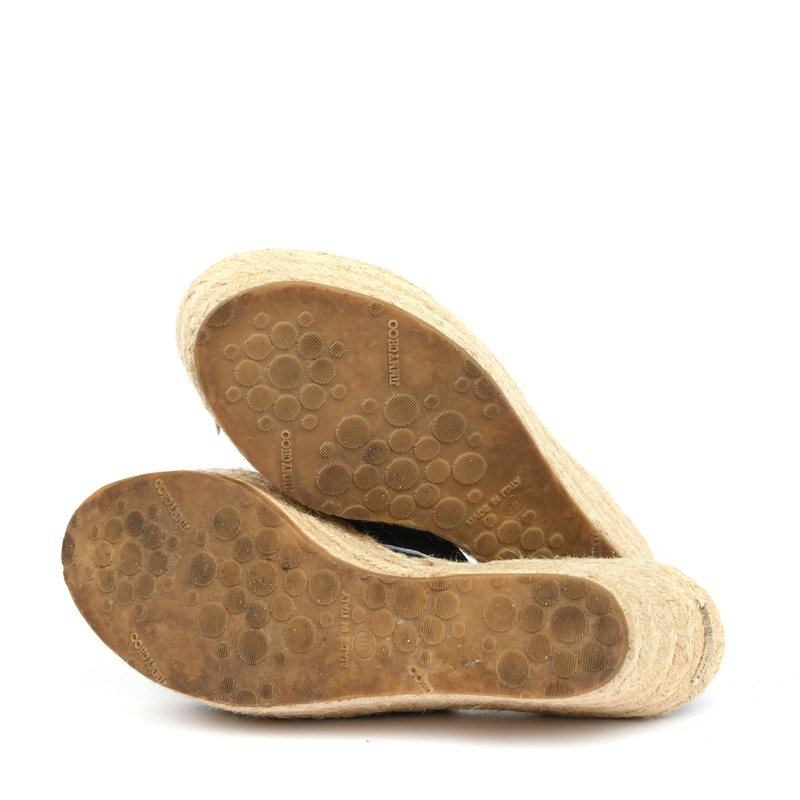 This pair of sandals shows gentle signs of use on the rubber sole .The patent leather straps have creasing and light wear. We offer free domestic shipping, with Cash On Delivery (COD) facility across India. Typically your item will be delivered within 5-7 business days from the day you place your order (We do not deliver on Weekends and Public Holidays). LabelCentric is not affiliated with Jimmy Choo. We guarantee this Jimmy Choo item to be authentic ( find out how ). Jimmy Choo® is a registered trademark of Jimmy Choo.